Monster Hunter is now officially ten years old, with the original title on PS2 arriving in Japan on 11th March 2004. Its early years were on Sony hardware, with the PS2 and outstanding success on the PSP, before Nintendo swooped to secure exclusive releases in the main series. 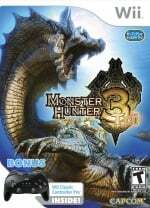 Monster Hunter Tri on Wii has been followed by Monster Hunter 3 Ultimate (Monster Hunter 3 G in Japan) on Wii U and 3DS, with Monster Hunter 4 on 3DS the latest big-selling arrival. 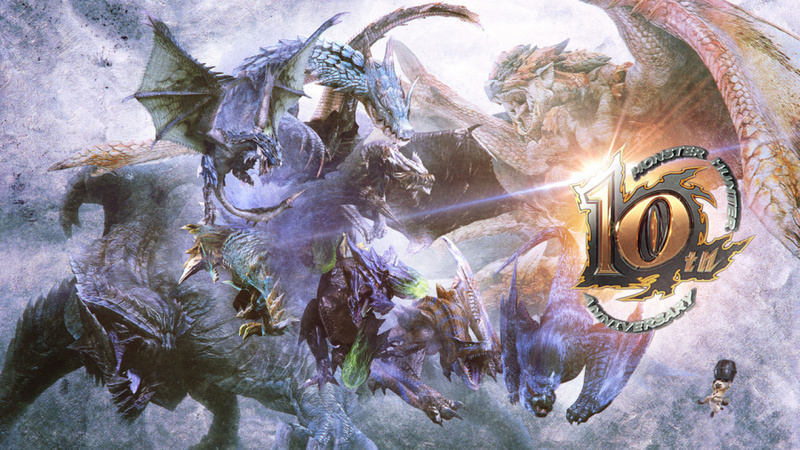 Monster Hunter 4 G arrives in Japan later this year on Nintendo's platform, while Monster Hunter 4 Ultimate will be the localised effort in the West in early 2015. It's been a diverse series, with mainline entries being joined by various expansions and spin-offs; one of these is the online-only subscription-based Monster Hunter Frontier G, originally on PC and then Xbox 360 before arriving on Wii U and PS3 late last year. That's only in Japan, of course, but there have been some suggestions of a potential Western release. While a vital money-spinning franchise in Japan — Nintendo securing main-series entries for the 3DS in particular was an impressive business move — Monster Hunter hasn't broken far beyond an enthusiast's market in the West. It's not failing outside of Japan, and it's to the title's credit that there's still a devoted following and solid online community outside of Capcom's homeland, yet the company will be hoping that Monster Hunter 4 Ultimate will provide a major Western breakthrough. We've written before about the obsession the series can encourage and why it can succeed in the West, and time will tell as 2015 rolls around in terms of whether the latest 3DS entry can take off. We hope so, but now's a good opportunity to do an extravagant bow — in your gestures menu online, 3 Ultimate players — and salute the series. Below is the awesome anniversary video that Capcom released earlier in the year to get us in the mood. May 10 more years of Hunting be in our future! 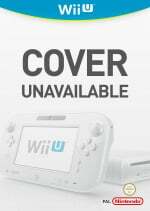 West will always want a Home Console version of a series for it to truely take off, we need a Wii U version. That is so crazy to think about! It's been 10 great years! Looking forward to many more! @Warruz Not true. I think that it's as "taken off" as it will probably get, and more games will just expand on that. Pokemon is still a handheld game here. Granted people are a little spoiled by Monster Hunter 3 Ultimate on WiiU, but that does not mean MH4U needs to be on Wii U. I'm just happy to get it! Hm, I wonder if 4G will be able to beat P3rd's sales...then again the lifetime sales of 3DS is still only about half of the PSP's in Japan. I'll sing the quest complete song in its honor. Happy Monster Hunter I'll do a quest in your honor on the weekend. I would die a happy man if they ported Freedom Unite to the 3DS. Also the Monster Hunter G series have always been released on home consoles, just never outside of Japan with the exception of MH3U for the Wii U.
Yeah, but just look at the sales. Obviously theres a demographic of people in other categories that would buy it also, including Vita and PS3 owners. Can't go by that though. If they don't want a handheld console, their loss. @SphericalCrusher I agree with you. I'm not am RPG fan but I've logged in close to 100 hours of casual gameplay on MH3U. It is a great game that by now, if it hasn't "taken off", it won't. As an spoiled western consumer I'd rather have a Wii U version of MH4, but I'll buy the 3DS version without question if that's all we get. We're indeed lucky to get it outside Japan. Me too! I own both WiiU and 3DS versions and played both frequently. I would kill for a MH4U on WiiU but it won't stop me from getting it. I think to celebrate I'm going to play tonight! Except it won't really be celebrating because I play Monster Hunter nearly every night. Happy birthday 4 U!!! Happy birthday 4 U!!! Happy birthday 4 U~~~!! Happy birthday 4 U!! @SphericalCrusher same im happy we just get the games atall haveing played all MH games releced in the UK - hopefully we will see more MH. I like how thayv used all the flagship monsters in the 10th anivercy pick. 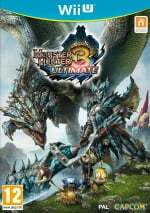 @Frapp lol cant say i dissagree althow i dont play MHFU mutch now it still is one of my favort MH games just from all the content. So glad that this amazing series came to Nintendo consoles. It's a franchise that takes a bit of getting used to and a fair amount of learning, but it's so awesome once you get into it. @Haywired It is a shame people can't get into it and would rather get into a game like Dark souls which is strategic difficulty and not technical difficulty. It's such a fantastic series that I find really fun. Everyone with a Wii U and 3DS should buy it, because it is a really fun and easy game that isn't hard to get into, and it's online is great. I hope it continues to grow bigger and better as a series! Monster hunter rules BROS BEFORE JHOS! On the flip side there are also plenty of people who won't buy a console for Pokemon, just look at the Gamecube. While it didn't have what some might call "true" Pokemon games not even being as cheap as a handheld helped. To many Pokemon is a handheld game, period. Its a chicken and egg thing. Its too niche in the west to sell consoles but the console its on doesn't do well enough to grow its fan base over time either. The demo is terrible, especially for new players. Your not wrong about the game being slow though, its meant to be that way. Its a be patient and wait for an opening type of game. Just want to say I'm completely new to the series. Took the dip when Capcom had the recent 50% off sale and have become completely addicted since then, clocking over 250+ hours of playtime. Not sure how I'll make the jump from WiiU to 3DS with MH4, so hoping , as other are, that MH4 somehow makes its way to WiiU. As popular as the series is, not sure how Nintendo didn't try to make this a WiiU exclusive to boost WiiU sales in japan. Monster Hunter, 10 years old, 4 generations. Call of Duty, 11 years, 11 games. The owner of that video i give many praise too as well !